It is such an excellent way to treat your hair particularly to a small portion of nourishment. The result of using Olive oil for hair is that the hair’ll become more manageable and equally attractive. In addition to all of the above, it is also very important to understand the fact that olive oil usually has the ability to nourish and condition your hair while also serving to improve its structural strength as well as its elasticity. 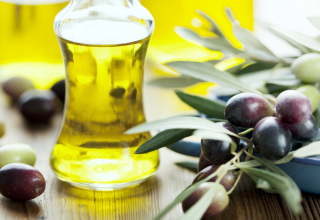 You will be glad to learn that you can also create your own olive oil. All you need is simply ½ cup of olive oil, preferably 5 drops of your favourite essential oil and a plastic bag that can easily fit your fairly long locks. Proceed to mix oils into the jar and then allow the mixture to sit in overnight. When you are ready to use it, start off by thoroughly rinsing your hair with warm water after which you pour a small bit of the oil into your hands and then massage your scalp in a circular motion preferably using your finger tips. Once you have applied enough oil leave it on the hair for around 30 minutes. This is very important since it will allow the oil for hair to soak in properly. Finally, when ready, simply rinse off the oil in the shower. Finish up by shampooing in the way you usually do and by the time your hair dries up, you will notice that it is softer and more manageable. This oil for hair has several well known benefits, medical uses plus it can also serve as an excellent beauty product. In addition to all of the above, it is also extremely effective in the treatment of acne as well as deep scars. Castro oil for hair has previously proven to be very effective to keep the hair shiny and soft while at the same time also playing an effective role in nourishing the scalp as well as encouraging the growth of new hair. Just so you know, Castro oil for hair contains ricinoleic acid which helps to protect the scalp as well as to prevent hair loss. This oil also has Omega – 9 fatty acids which prevent dandruff by keeping the scalp moist. Many people who use this oil have developed a high preference for it mainly because of its ability to help to produce very thick luxurious hair. It is equally important to note that Castro oil is also a humectant. This means it is able to draw moisture into the hair. Simply put applying Castro oil on your hair to keep its moisture strong. Just like Olive oil and Castro oil, Almond oil also has many health and beauty benefits. 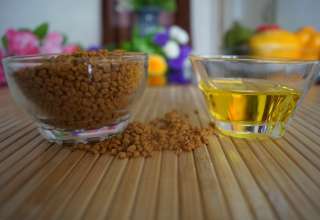 It has also been in use for several hundreds of years to improve hair growth and hair strength. It is also worth nothing that almond oil is such an excellent natural treatment for dry over processed hair since it contains magnesium and vitamin E (both of which have been found to significantly strengthen hair and help to improve its shine). 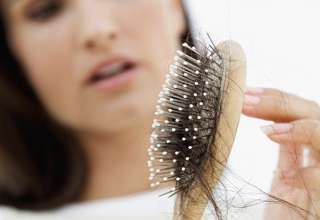 Just so you know almond oil for hair has been also found to control hair loss by nourishing the scalp. Everything taken into consideration, oils for hair are by far the fastest and most effective way to promote hair healthy growth while preventing hair loss and generally improving your hair. Previous article What is paleo protein?